Planning parties can be a big task, but a Super Bowl party is easy! Any game day party—whether it is for the pros or your favorite college team—has a very casual atmosphere. It allows you, as the host, to prepare ahead of time and leave the rest to fate while you sit down and enjoy the game with family and friends. A fun Super Bowl party can be very simple. The entertainment is taken care of and all you need to do is prepare the venue, which could be any room in your home. Some hosts even convert their garage into a party space for the day, bringing in a big screen TV, chairs, and tables. Once you have the location, all you need is some great food and a lot of drinks! Have plenty of beer chilled and buy more than you think you will need. Recruiting someone to go on a beer run in the middle of the game will not be an easy job. Choose a selection of beer so everyone is happy or turn it into a BYOB event. If guests are in charge of bringing their own beer, then you don't have to worry about them complaining about what you choose. If your friends have a particular beer they like, be sure to have a few cases of that on hand. You can also shake things up and grab a selection of craft brews that may force them out of their comfort zone. Who knows, there may even be a new fan favorite in the lot! It is likely that you will have more beer than your refrigerator can hold. Depending on where you live, use the cold temperatures outside as your cooler, just don't leave it out too long in extreme cold because beer will freeze. Otherwise, stock up on ice and borrow a cooler or two to keep it at the perfect temperature. If you want to serve mixed drinks, decide if you want to serve a couple of signature cocktails or go the easy route and serve a punch like this touchdown tea. Either is an excellent choice and gives non-beer drinkers an drink option, too. Also, don't forget to serve a mocktail or two for the designated drivers and non-drinkers in attendance. Mixed drinks are a great option, but they may take more time than you think. Be prepared and follow a few tips so you're not mixing cocktails throughout the entire game. Stock up on all of the ingredients you will need. Make sure someone else knows how to mix up the drinks as well. You don't want to be the only one shaking cocktails during the game! Quite often, you can shake up two drinks at the same time in a single cocktail shaker. You will also need a lot of ice, and not the ice in the beer cooler, either. Designate some clean ice that will be used for mixed drinks only. Almost any cocktail will be a great choice for the Super Bowl party, so choose your favorites. For instance, you might want to choose a couple game day-worthy beer cocktails or select some fruity margaritas to mix up. Keeping things simple is a good route, and you can save money by turning to tried and true mixed drinks that are cheap and quick to make at home. Many of these recipes can be made in big batches as well. While they're not really a punch, they are ready to serve out of a pitcher, which can save you time during the game. Some football fans like to make the on-screen game a little more interactive. Many parties will organize a football pool and this shot game is another fun option. Start by choosing the shooters you'll be mixing up and drinking. Go with the same shot for both teams or choose different shots for each. Jello shots are a fun shooter for this game or you might try something a little different and go with pudding shots instead. Split up into two teams. If it is a mixed fan party, split up by fan base. If everyone is rooting for the same team, well...someone may have to go to the other side or you'll need to adjust the rules. Break down the game so players have to take a shot during specific football plays or events (touchdowns, penalties, sacks, etc.). It is a decision that depends on the game's pace and the participants' willingness to get drunk. And, if the game is a blowout, you might have to change the rules mid-game. When one team scores, the opposing fans must shoot the scoring team's shot as a penalty. Or, the scoring team fans drink their own shot in victory. If a quarterback gets sacked, his team takes two shots. If the ball is fumbled, the fans of that team slam a shot. Interception? Decide if you want to take a shot in celebration or defeat! This can be a really fun way to enjoy the game and it can lead to some unexpected intoxication. Just be sure you have a designated driver available to get everyone home safely. You have the drinks covered, now it's time to think about the food. Game day parties are best with quick dishes, snacks, and finger foods: think dips, hot dogs, snacks, and other easy munchies. Prepare all of the food ahead of time or ask guests to contribute a dish for a potluck. Keep food warm with warming plates or slow cookers. Designate one table for food and allow guests to help themselves. Do everything you can to make clean up quick by using things like disposable (and recyclable) utensils, plates, and cups. Have a garbage can nearby. You can never go wrong with chips and dips like the tequila-infused Herradura's big game salsa served with tortilla chips. Wings are also an easy crowd pleaser, so make up some Buffalo hot wings. 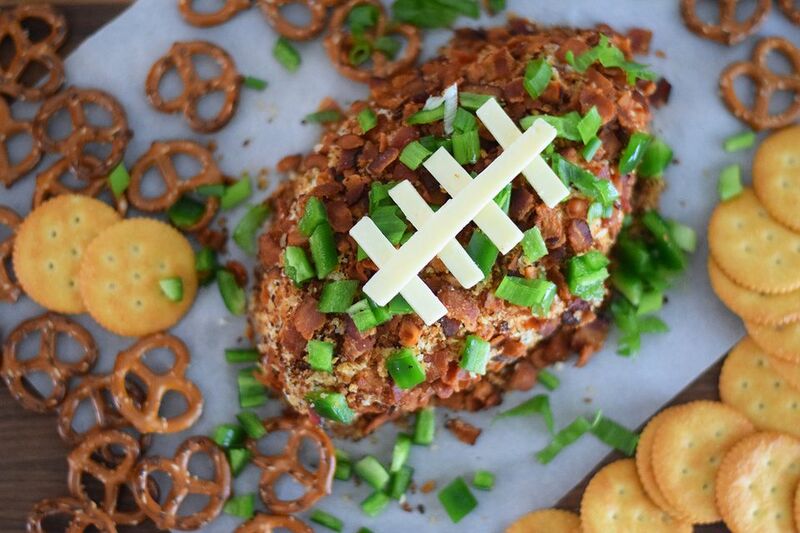 Choose a few super recipes for a game day party that are guaranteed crowd pleasers. Fire up the grill and enjoy favorite Super Bowl party BBQ recipes. Protect your furniture and furnishings from accidents the best you can. It's a perfect time for some quick decluttering, so clear everything unnecessary from tables and end tables. Set out plenty of coasters. Hopefully, guests use them but don't get angry if they don't. Casually pick up their drink and place a coaster under it. They might get the hint! Keep towels nearby for quick clean up of any spills. Make sure your bathroom is stocked with the essentials, including plenty of toilet paper, hand towels, and soap, so you don't have guests asking for more mid-game. There may also be someone at the party who isn't interested in football. If they are willing, enlist their help for clean up, food prep, and other tasks. If you want to go all out, decorate the house in team colors. You can use opposing team colors on opposite sides of the room or, if you are partial to one team, decorate with those colors only. Pick up colorful plates, napkins, and cups at the party or dollar store, then cover the table with a game-day-worthy tablecloth. Choose a disposable one, or one that's easily washable, and save your good tablecloth for another affair!